Collins Street Business Centre offers fitted out co working, executive offices, team suites, meeting rooms, training spaces and more. 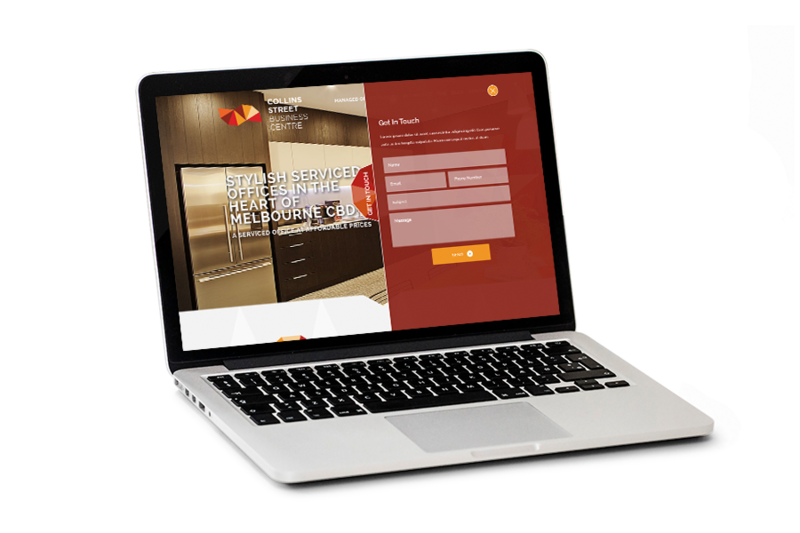 Working collaboratively, we brought their digital profile to life with a fresh new site strengthened with a powerful SEO and paid ad campaign designed to seriously boost awareness and leads. 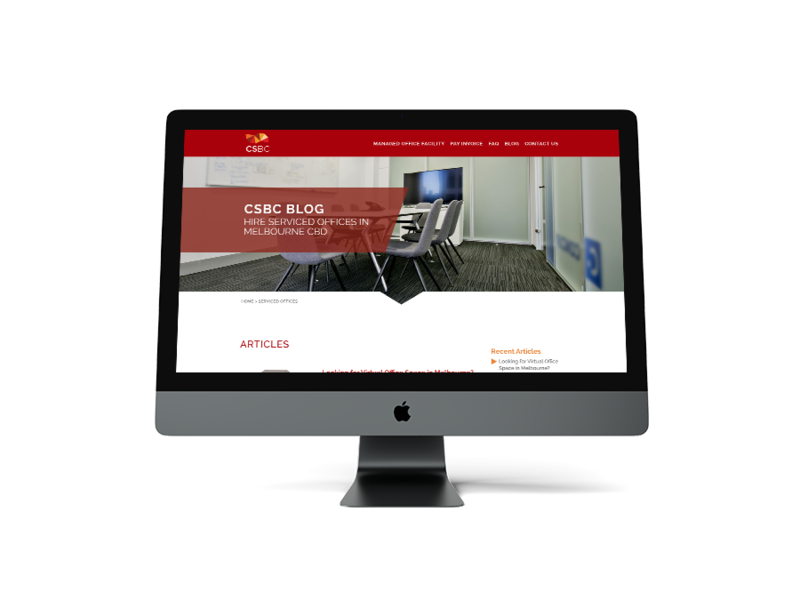 We were engaged by CSBC to create a brand new site to better position and promote their brand online. Staff needed to quickly and painlessly update and manage the site daily so the site was developed on a user friendly WordPress CMS with WooCommerce used for payments. With continuous expansion on their radar, the site was built to scale. This means CSBC are always ready to promote and add acquisitions as they happen. With the site launched, a highly-targeted Google Adwords campaign was kicked off alongside a considered SEO strategy. The ongoing management and optimisation continues to grow and boost sales through smart, lean digital solutions. From the very first meeting ideas flowed. By the meeting’s end a solid creative partnership was born. With similar mindsets, we set out on our digital trek – the website was first up, but with marketing running parallel to ensure everything was in place for launch. There was a particular challenge we knew we could overcome, The Australian serviced office space is crowded. The roost is ruled by a number of large multinational players – each with deep pockets. Smart and agile marketing strategies would need to be developed in order to balance spend with quality leads. A bold colour scheme complete with a distinctive octagon elevates the brand. This design is flexible and seamlessly carries through to offline collateral. Large immersive photos of the spaces and clear information quickly communicates the offering. Strong calls to action make it easy for prospective customers to reach out. To get a full understanding of the co working ecosystem, we undertook a detailed industry analysis and competitor review. From here we developed a lean yet effective ad strategy. Complete keyword research, ad group research was followed by ad copy, sensible budgets and a well-timed launch. For the SEO component, the on page SEO was built into the development and carried through in every effort we took – right through to launch and ongoing management. 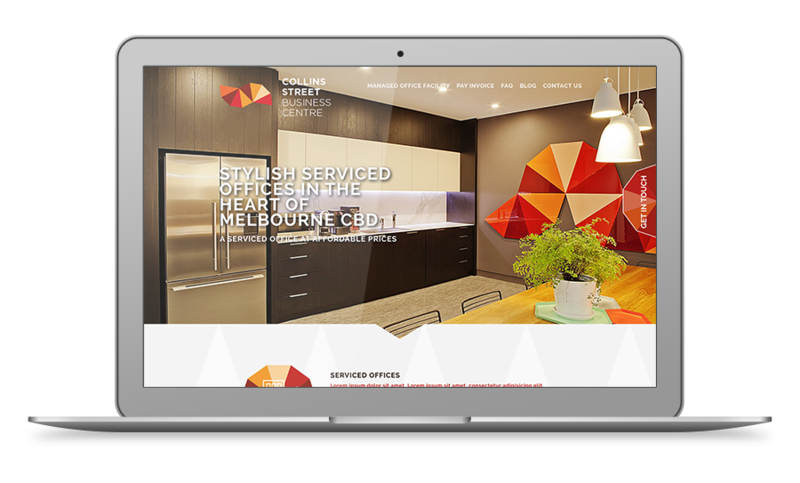 We created a central website, which establishes CSBC as a serious player in the Melbourne serviced offices realm. But the real power of this partnership comes from the integrated digital marketing strategy. In a highly-competitive and saturated market, we helped CSBC make their ad spend work overtime. We continue to work with CSBC and have plans to develop a new site. This latest iteration will feature multi-language support, video walk throughs, and greater enhancements for existing customers to engage with the business. Both customers and prospective buyers spoke up. They loved the site. And our primary goal of maximising conversions started paying dividends early in the advertising launch. Over the first 90 days, combined conversions from SEO and Google Adwords were boosted by over 405% and continue to enjoy exceptional performance. The site generated traffic by a factor of 9X, the bounce rate dropped by 40% and a smart lead magnet strategy continues to bring in qualified leads. There’s a reason the Newpath Web team have a reputation for top-notch web and digital marketing strategies. From the outset their approach was of a particularly high standard – excellent communication, proactive service and outstanding results. Straight away we were not only getting considerably more leads, the cost per acquisition was significantly less. The numbers speak for themselves and have been a real game changer for our company.